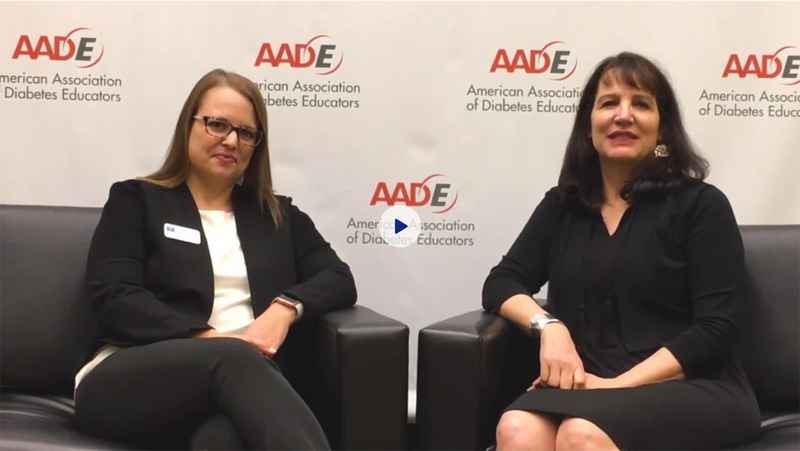 Nadia Al-Samarrie speaks to Molly McElwee RN from Tandem Diabetes Care about the Basal-IQ; a predictive glucose feature for the Tandem t:Slim X2 insulin pump. 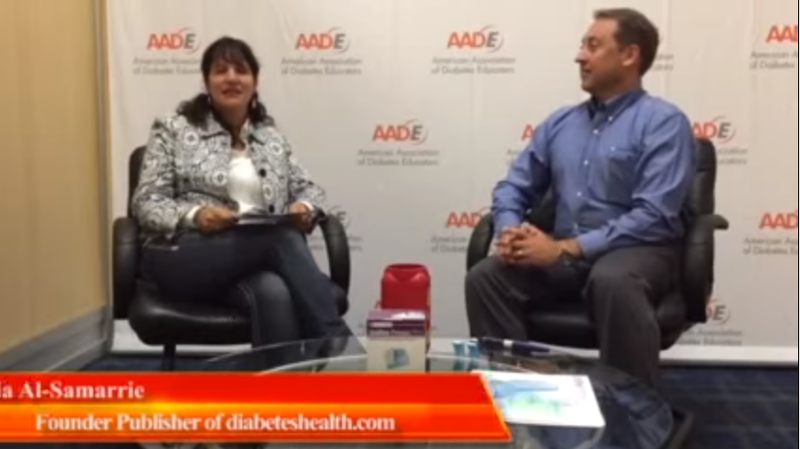 Can Type 1’s Use The Inhaled Insulin Afrezza? Former Senior Marketing Director Johnny Chung demonstrates how Afrezza works, insulin dosing versus inhaled insulin and how to travel with Afrezza. Brandon Cook, Territory Manager for Companion Medical in Texas demonstrates the InPen, how it integrates with bluetooth technology and reveals there is only a one time co-payment for the year. 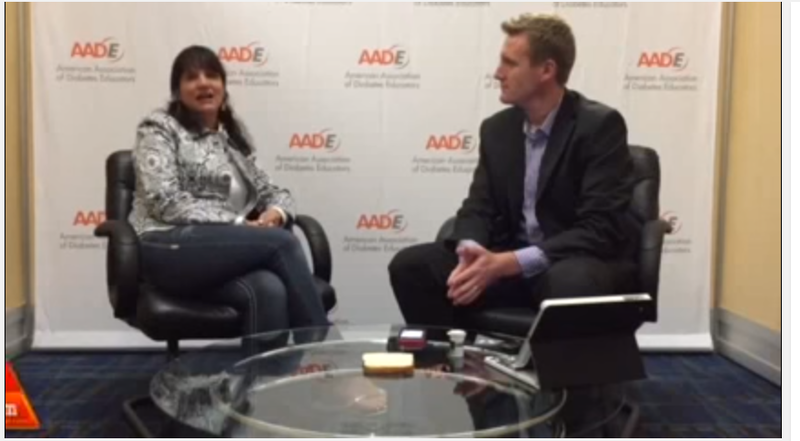 Matt Hobbs from Owen Mumford sits down with Nadia Al-Samarrrie at the American Association Of Diabetes Educators in New Orleans 2015 to demonstrate the novel Unifine® Pentips® Plus Pen Needles with a Built-In Remover. Jeremy Mangelson, Area Business Director at Roche Diagnostics demonstrates how the Accu-Chek® Connect System‎ connects to the meter, app and web portal. 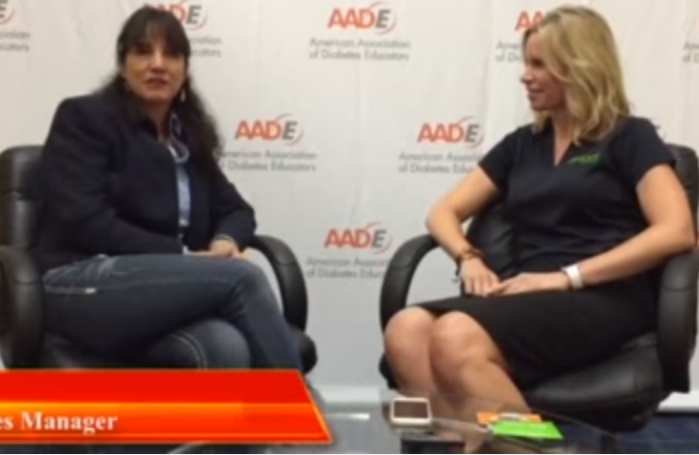 Publisher Nadia Al-Samarrie speakes to Michael Russin / Vice President of Sales & Mkt for Diabetes Sentry Products, Inc. in New Orleans at the AADE. 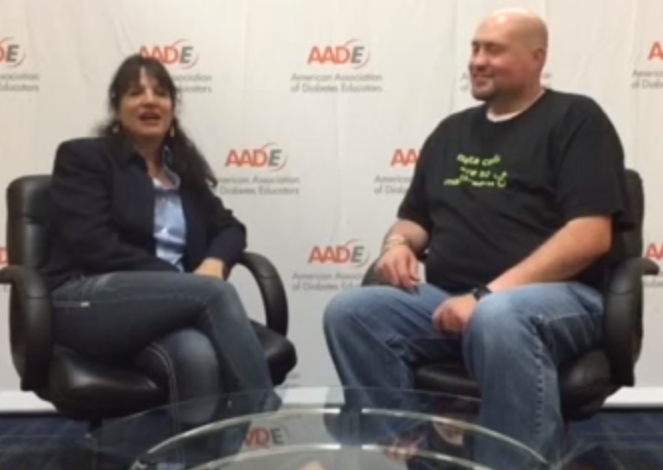 Scott Johnson, most love blogger, sits down with Nadia Al-Samarrie at the AADE in New Orleans to talk about his new venture with mySugar. 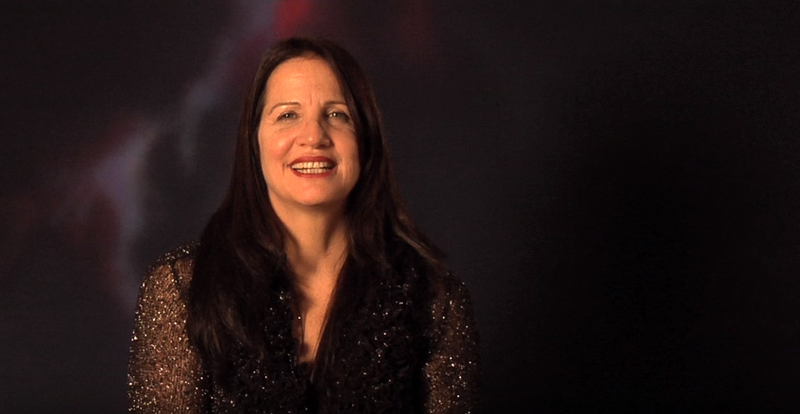 Nadia Al-Samarrie, CEO of Diabetes Health magazines, gives you a history of her rich background in the diabetes community and her personal experience with Type 1 and Type 2 diabetes. 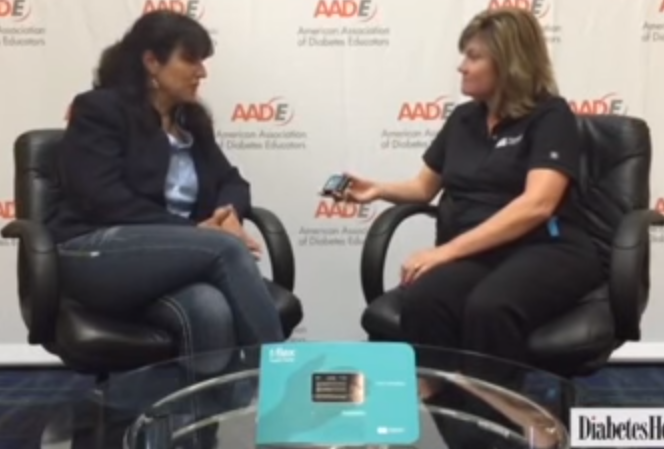 Laura Endres National Sales Director at Dexcom gives a product demonstration on the CG5 Sensor and shows us how it integrates with the different digital platforms.